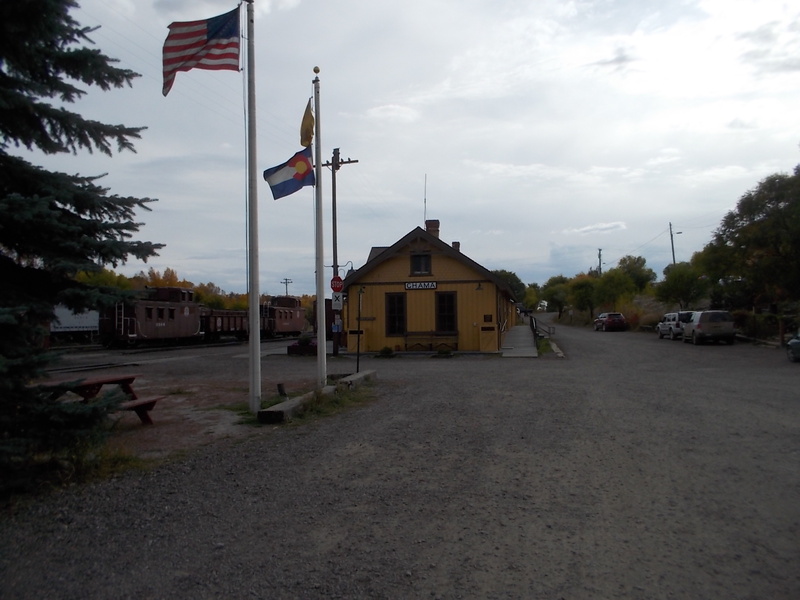 We threw our luggage in the inn and walked across the street to poke about the train station in Chama. I have no idea of the history of this place, but there is one steam train a day up the mountain. 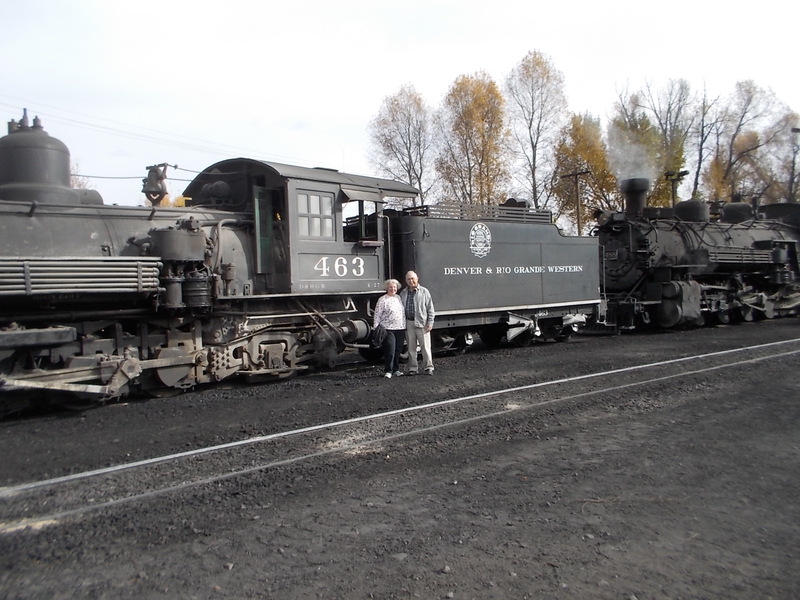 We walked through the yard, and John stayed to see the train come in while I ran back to the room and sent email messages to two of our children. We were hamstrung by poor internet service at the inn and no signal on my phone. Kate, Michael, and Lise found us on the website as we watched the crew begin switching cars for the next day’s run. That was really live streaming for our family. I took photos of John in train heaven and liked the ones that show how massive the engines are. Love the picture of you two in front of the train! Thanks, Gary. I suspect my husband loves trains as much as you love sports. I’m a huge train fan! Actually one of the few memories I have of my deadbeat dad was playing with model trains. Wow! You like trains, too! You must come to play some day. We have LGB trains on the front porch. The grandsons have smaller ones — HO and Z, I think. Last Christmas, the first in our new house, we had the LGB running through the living room, hall, den, and kitchen.